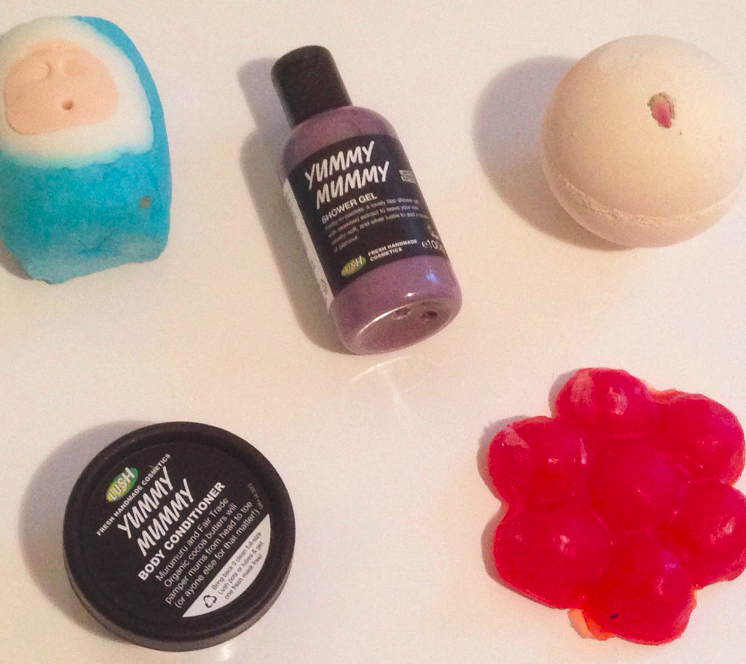 LUSH are best known for having such divine smelling products that can really be gifted for any occasion especially for those 'treat yourself moments'. LUSH have a strong place in my heart as they are a brand who care about the environment and what impact they have through their productions and how they can better the world and our skin too. LUSH always bring out newbie products to their range for limited times when it comes to those special occasions and so here we are back for another Mothers Day. This year I get to celebrate my second Mothers Day thanks to my gorgeous little Niah. My world has been so much more complete having her in it and there is not a day that I am not thankful for what my body has been able to do in order to give me such a precious gift. If there is one thing that Niah loves just as much as her Mummy that is LUSH. I kid you not, Niah and I can visit a LUSH store and be in there for a good hour going around smelling all the products. If you ever want a LUSH shopping buddy well Niah is your girl. I know there will be no dramas in getting Niah to pick me out some LUSH for Mothers Day. LUSH kindly gifted me some special presents for Mothers Day that I have been soaking up in the bathtub with and sharing with Niah of course, as they are hers so Niah keeps reminding me. 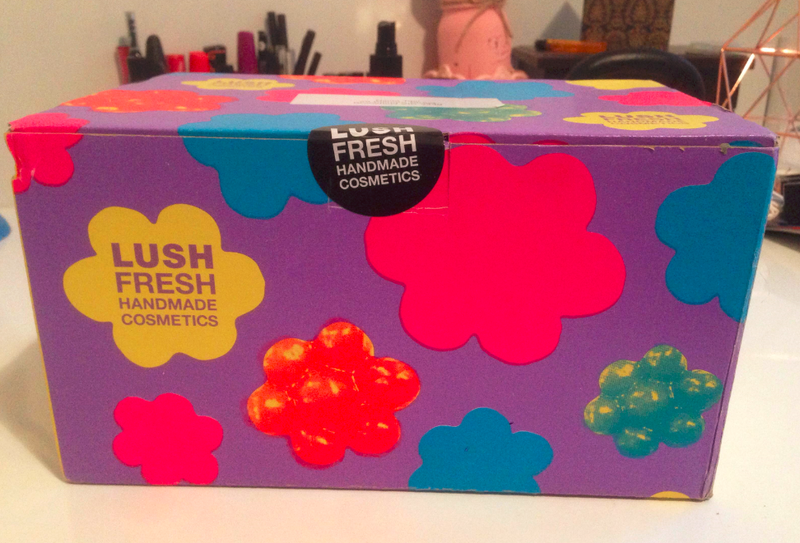 Once again I need to show you the boxes that LUSH orders come in if you place your orders online. LUSH put in so much effort into their presentation that it's not applauded enough so LUSH - thank you. Coming home from a long day at work and seeing this package at my front door just makes my day, lights up the eyes and puts a smile on my face. This was a big favourite for me. Straight away Niah would say baby, baby when she saw this and it reminded me of a baby wrapped in a blanket but then I can also see like a Nun in it, or an adventure time character I was told by one of my sisters. The bubbles were mass produced in this bubble bar, like I have never seen that many bubbles come from any product before. The scent of cherry blossom fills the area for that something special come bath time. My soap that came was just the red flower top which has been taken off a much larger soap that has been made into a stunning bouquet of flowers. In all honest opinions this one was a miss for me. I'm not a fan of the scent but that's not to say it's not for everyone. I think this soap would be more suited to an older person like grandma as it just reminded me of something that my grandma would like as a scent around the home or in her bathroom. The soap has scents of mimosa, jasmine and bergamot oil which provide an uplifting powerful scent. When I first opened my LUSH box this was the nose hitter and you could sniff it out as that strong scent. Bath bombs are our favorite and up until now the favourite has been Think Pink but move over Think Pink, Rose Bombshell has taken over your spot. A bathbomb that when it first starts shoots out a rose head and then as it gets to the end it sends out rose petals floating on the water top. It's one of those magical bath bombs that really create an 'awh' moment for you. A very gentle and calming bath is to be had with the soya milk, rosewood, Turkish rose oil and orange flower absolute. A fantastic mix to unwind to. It's a real shame this one is limited edition as it's absolutely gorgeous but hopefully it will make a comeback each year for something special or even better - *cough* be a standard all year round product. *cough* But until then you'll have to beat me to buying them all first in stores. Fair trade cocoa butter and strawberry juice - need I say more? This body conditioner is a hands down winner. When I read what's inside a product this would be the ultimate mix that would be a grabber and the scent does no shame on how good chocolate and strawberries are together. Yummy Mummy gives you that Yummy skin both scent and feel. Leaving your skin feel nourished, well moisturised and super soft. A very 'You smell good enough to eat' product. A shower gel that leaves you feeling glamorous afterwards. This body conditioner has that warm feeling to it both scent wise and when you apply it to your skin. With a gorgeous lilac purple color this shower gel is just divine. Seaweed extract for the velvety soft feeling skin and golden lustre to make that skin shine because after all us Mummies need to shine on the outside too from all the things we do. LUSH reminder - If you order LUSH products online for Mothers Day gifts ensure you place your order by May 3rd so it arrives in time for that special day. If you click the image above it will take you right to the Mother's Day range, your welcome. Happy Mothers Day to all the Mummies out there, be sure to treat yourself. You deserve it. *Products were kindly gifted in return for their promotion here. All opinions are my own.